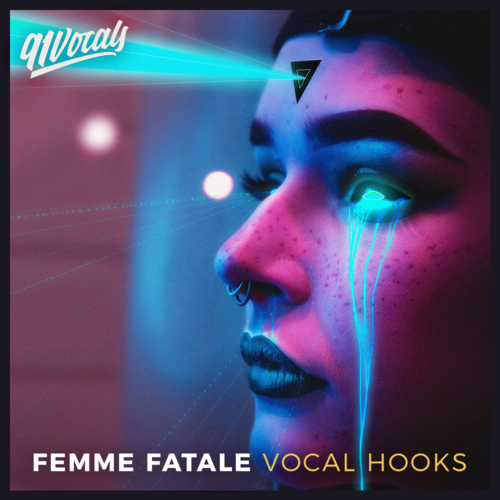 91Vocals proudly introduces Femme Fatale – Vocal Hooks. A crisp collection of high quality, inspirational female vocal hooks, toplines, phrases and adlibs. Professionally recorded and meticulously processed. Ready to be the perfect top line or clean audio for you to chop and experiment with. Over 160 female vocal samples recorded with high end microphones with analog hardware. Our professional engineer added transparent pitch correction and a few tricks of the trade. Featuring our favorite performances from our recording sessions, presented in three different keys and BPMs. All samples are included as both ‘Wet’ with effects such as reverb, delays and stereo widening and also ‘Dry’. All vocals have been meticulously edited and gently treated with our vocal chain – applying compression, EQ, level riding and more. Our aim is to create a super crispy clean vocal ready to drop into your track but with the added option of applying your own effects. Get busy with chopping, slicing, pitching and experimenting!